Mission Bay Aquatic Center Blog: CA Governor attempting to eliminate Cal Boating... again?! CA Governor attempting to eliminate Cal Boating... again?! 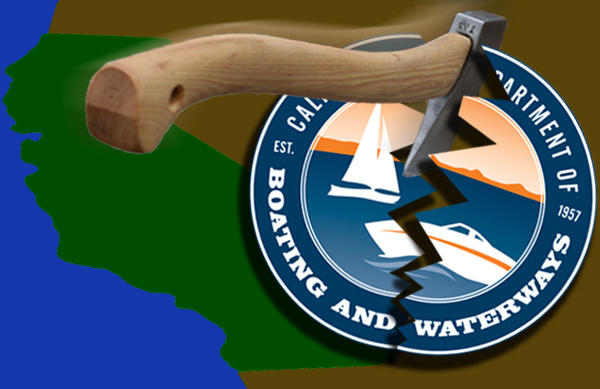 For the 5th time in the past 2 decades, the Governor of California is attempting to eliminate the California Department of Boating and Waterways [Cal Boating], the department responsible for providing accountability, transparency and leadership regarding the collection and use of boater-derived taxes and fees, and the best use of these funds for programs that benefit boating. Recreational Boaters of California [RBOC] is urging boaters to speak up in opposition to Governor Brown's proposal to eliminate the Department of Boating and Waterways and re-constitute the department as a division within the Department of Parks and Recreation. Many argue that the move is an attempt to redivert boaters taxes and fees to the general fund, rather than being invested back into the boating community as overseen by Cal Boating. Cal Boating provides accountability, transparency and leadership regarding the collection and use of boater-derived taxes and fees, and the best use of these funds for programs that benefit boating. Eliminating Cal Boating would not save a single General Fund dollar. The department is funded by boater fuel tax dollars, registration fees, and interest payments on infrastructure loans. Eliminating the department would not help resolve the current budget crisis. Cal Boating creates jobs through loans and grants of boater fund for boating infrastructure throughout the state that ensures boater access to waterways. This state's more than 3 million boating enthusiasts must have a department with a Director whose primary focus is boating. Cal Boating has a compact organizational structure and administers boating programs in a timely and non-bureaucratic manner. Its statutory charter is directly boating-related. RBOC is working to achieve an understanding by state policy makers that that this department creates jobs and receives no state General Fund dollars, and that its elimination would not help with the current budget crisis. Boaters are urged to sign and submit a letter of opposition. Letters can be faxed to 916.441.3520, emailed to [email protected], or mailed to: RBOC, 925 L Street, Suite 220, Sacramento, CA 95814.